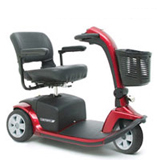 Before you buy a Mobility Scooter, we will beat all competitor prices. 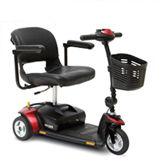 Please compare the complete Mobility Scooter Product, Options, Batteries, Delivery & Set-Up Charges – we are always the lowest! We are the authorized service center for all the Mobility Scooters we sell: Pride, Golden, PaceSaver, Amigo, EVRider, Shoprider, etc. After the original Mobiity Scooters Manufacturer's Parts Warranty expires, we will either charge you our Cost or ½ the Retail Price for the Part - includes Batteries! As long as you own your GO-GO Scooter, the same company that sold you the Go-Go is the same company who will also give you ASAP SERVICE at a fair price. 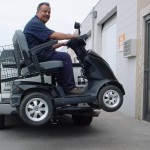 On local deliveries, our own trucks and experienced drivers offer white glove delivery, set-up and complete instruction and over view of the battery charging, features & safety issues of your Mobility Scooter. 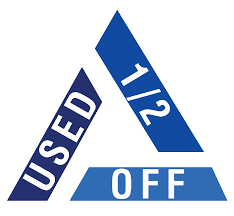 On local deliveries, all stock Mobility Scooters that are not special or made to order, come with a one-time, 10-Day/$75.00 Each Exchange Policy to ensure your 100% Satsifaction. 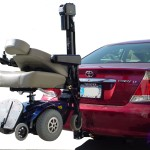 Select a mobility scooter or wheelchair lift for your car, van suv, van, pickup, trunk, hatchback, . . . 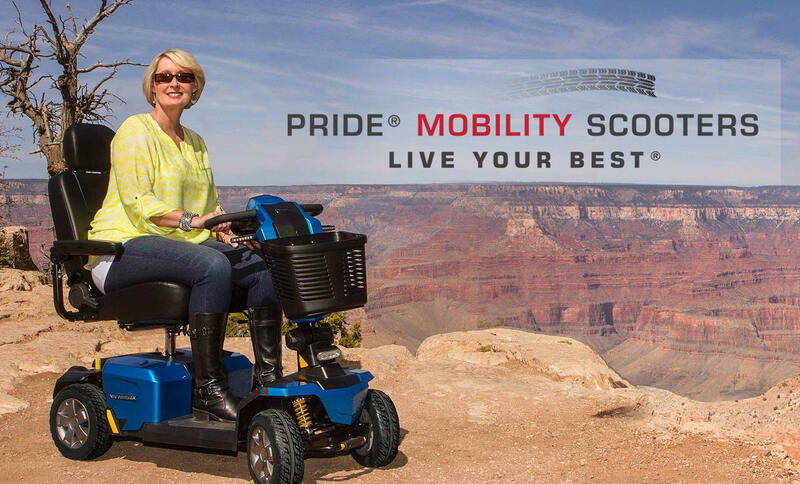 When it comes to mobility solutions, Pride® Mobility Scooters are in a class of their own. With different models that will cater to your specific needs, there is a scooter for every budget and application. 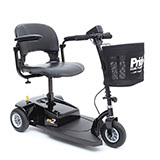 From our compact, lightweight Go-Go Elite Traveller® portable mobility scooter, to the full-sized Pursuit® luxury personal mobility vehicle, you are sure to find the perfect Pride® Mobility Scooter. There may be a lot of electric scooters for sale out there, but when it comes to quality and reliability, only Pride® Mobility Scooters deliver the highest levels of customer satisfaction. 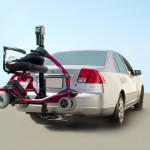 Learn more about the Victory®, Maxima®, and Pursuit® models today! 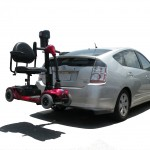 Why Go-Go® Travel Mobility Scooters? 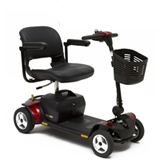 Pride Mobility® offers an array of travel scooters. 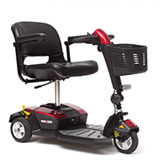 No matter how you live your life, there is a Go-Go® Travel Mobility Scooter to meet your needs! Choose from foldable scooters, portable scooters, and electric scooters that easily disassemble. 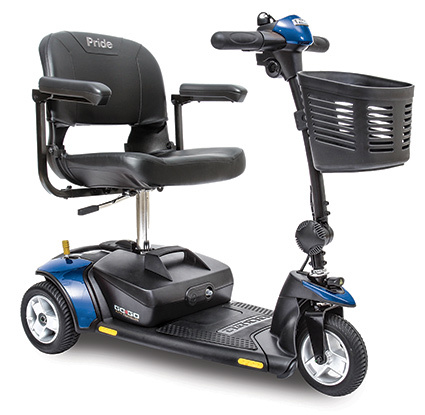 Discover why our Go-Go Travel Mobility Scooters make Pride Mobility Products the first name in mobility! 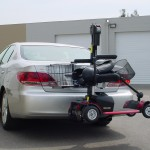 It’s so easy to transport your Pride travel mobility motorized scooter! 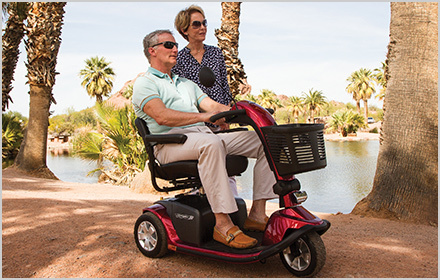 With convenient feather-touch disassembly, the Go Chair® electric scooter allows you to enjoy lightweight travel and greater independence. 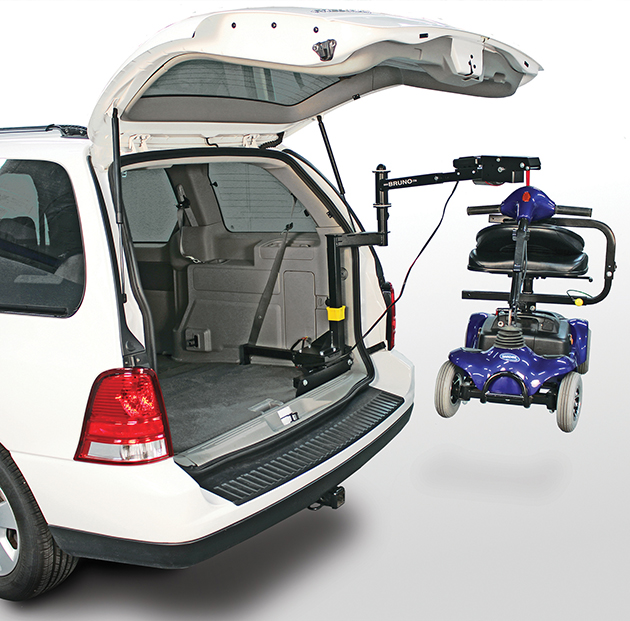 Discover why the Go Chair is #1 for portability. Let’s face it: you need a lightweight electric wheelchair that can keep up with your active lifestyle. You can’t be slowed down by bulky or heavy power chairs and scooters. 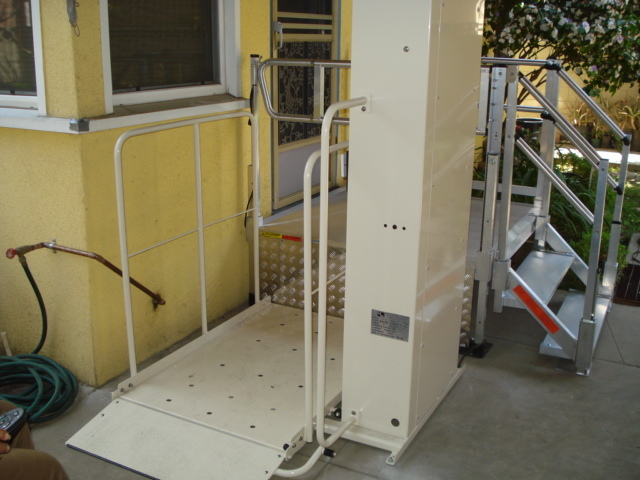 You need a mobility product that is portable, compact and easy to disassemble. 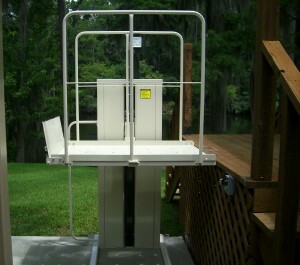 You need to get out there with the Go Chair®, which is #1 for portability. Pride’s signature feather-touch disassembly allows simple frame separation with only a single hand. The Go Chair electric wheelchair easily disassembles into five lightweight pieces, with the heaviest piece weighing only 36 pounds! 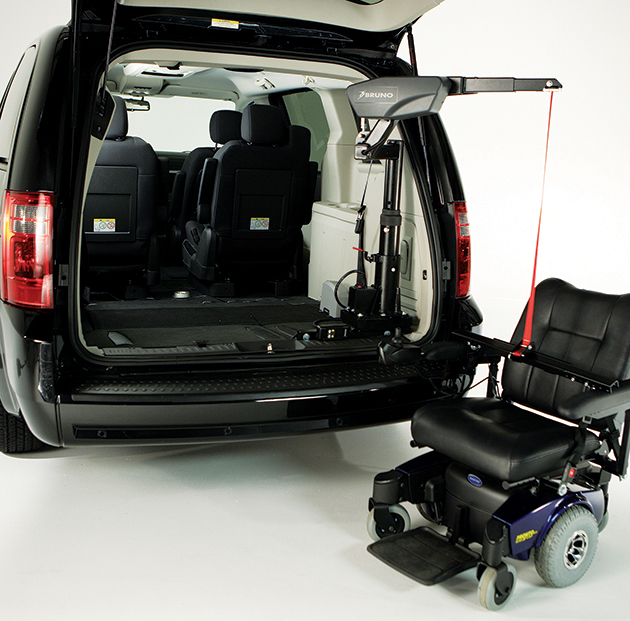 In addition to easy transportability, the Go Chair offers convenient under seat storage. Dual, swing-away storage bins underneath the seat are great for keeping your valuables close at hand. 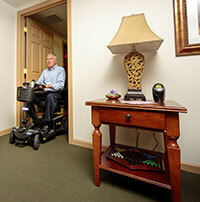 A comfortable 5-point swivel seat and large footplate add to the Go Chair’s appeal. 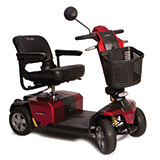 Portability has never been more comfortable or stylish, as the Go Chair motorized wheelchair is available in 6 gorgeous colors. When it comes to portability, there is no comparison. 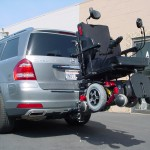 Why choose other mobility scooter and electric wheelchair brands? 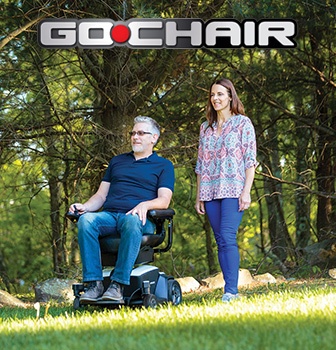 Now you can enjoy lightweight travel and greater independence with the Go Chair! 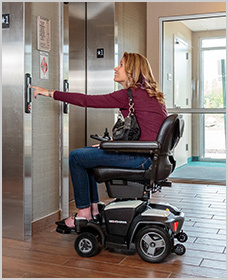 Pride’s Go-Go travel mobility line offers state-of-the-art controls that are a breeze to operate. 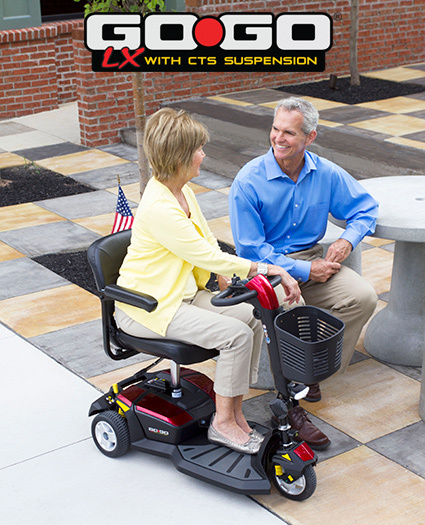 The Go-Go® LX with CTS Suspension electric scooter features a simple and intuitive console for effortless maneuvering. Read more about the Go-Go LX with CTS Suspension, a travel scooter that tops all other mobility scooter brands. Pride offer electric scooters that are built to last. Our Go-Go Travel Mobility scooters are subjected to extensive factory testing, engineered for long lasting durability. Discover how the Go-Go® Elite Traveller delivers reliable performance indoors and out. Pride motorized scooters for travel mobility are equipped with the cutting-edge innovations that are truly creative and consumer-focused. 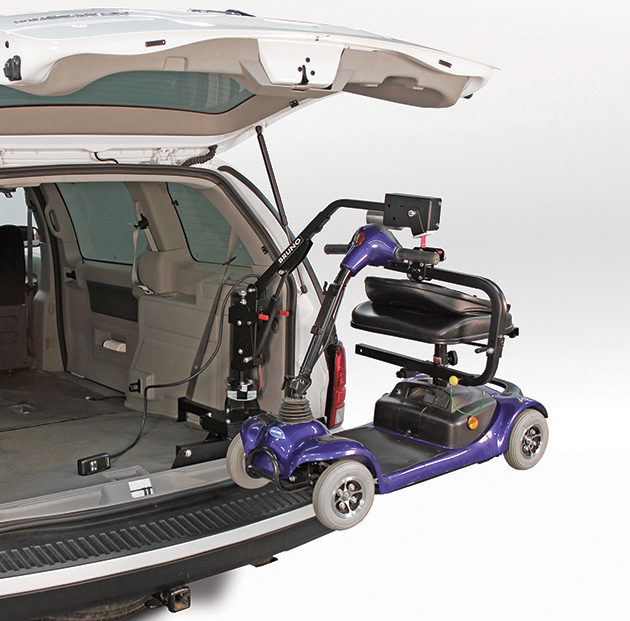 The Jazzy® Zero Turn offers patented iTurn Technology™ to ensure the tightest turning radius. Read more about the Jazzy Zero Turn, an intelligent-turning mobility scooter for adults. How you spend your day is important to you. 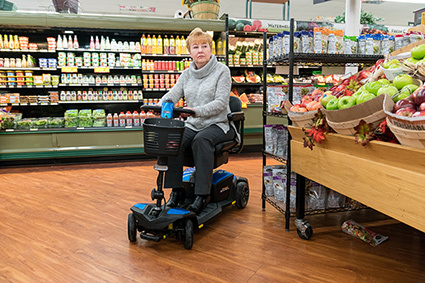 Whether you need to go to the grocery store, clean your house or visit a friend, you shouldn’t have to worry about the performance of your mobility scooter. 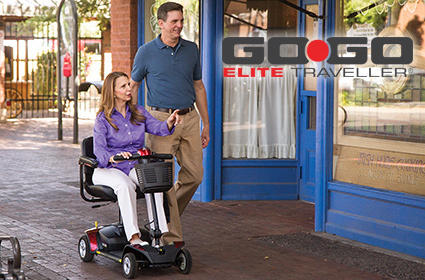 When it comes to reliability, the Go-Go Elite Traveller® motorized scooter is an exceptional choice. With a compact design, the Go-Go Elite Traveller mobility scooter easily maneuvers in tight spaces. Feather-touch disassembly lets you disassemble the scooter into five super lightweight pieces, so you can transport your scooter wherever you go. The Go-Go Elite Traveller is an extremely portable adult mobility scooter. Our Go-Go Travel Mobility electric scooters undergo extensive product testing and exceed all standards in performance, quality and dependability. 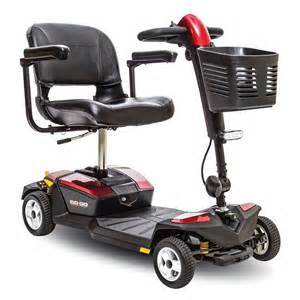 As for the ride, this Go-Go motorized scooter drives up to 4 mph and features a black, vinyl swivel seat to ensure maximum comfort. 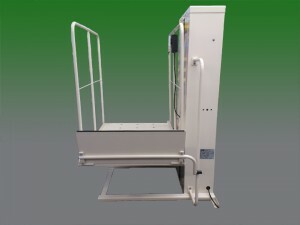 Other great features include a microprocessor-based controller for optimal power management, and a front, tiller-mounted basket for ample storage. Choose a reliable mobility scooter that ensures peace of mind. Nothing beats the superior performance and portability of the Go-Go Elite Traveller! 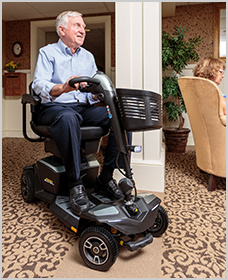 Although there are many great features that make the Jazzy Zero Turn the premier mobility scooter for seniors and adults, the most important aspect is Pride’s patented, intelligent-turning, iTurn Technology™. The Jazzy Zero Turn is incredibly maneuverable with its 38-inch turning radius, providing 4-wheel stability with 3-wheel maneuverability. Tight hallways and narrow store aisles are no match for this motorized scooter. 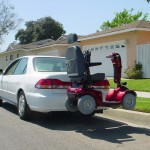 This mobility scooter is so easy to use it can be driven with a single hand, thanks to an ergonomic delta tiller with wraparound handles. 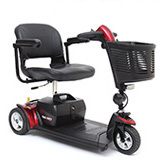 Although the Jazzy Zero Turn is not considered a medical scooter, it’s a great motorized scooter for those who need help getting around. Enjoy bright LED lighting and under seat storage for even more convenience. Feather-touch disassembly makes the Jazzy Zero Turn an extremely portable adult mobility scooter. A built-in USB charging port in the tiller is perfect for charging your cell phone while on the go. Dual motors and CTS Suspension offer the smoothest ride, compared to other mobility scooter brands. 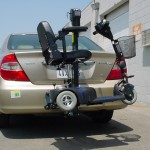 When considering your mobility, the choice is clear. Jazzy Zero Turn. 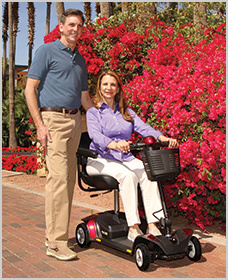 Pride motorized scooters offer a multitude of great features that meet your lifestyle needs. 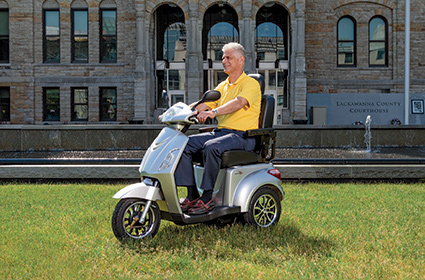 The Victory® 10 3 and 4-wheel scooter delivers style, comfort and performance. Read more about the Victory 10, a scooter that beats all other mobility scooter brands. We understand that in today’s world, consumers value a mobility scooter that has it all. Why give up style and comfort for superior performance? 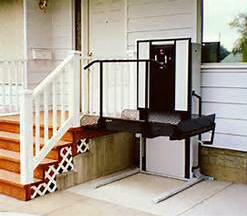 When it comes to your mobility, it’s possible to have it all. Enter the Victory® 10, the most versatile adult mobility scooter. 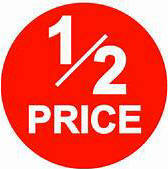 Why buy multiple products? 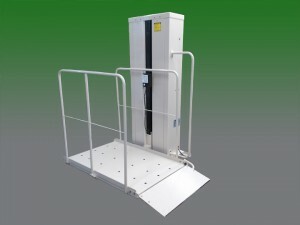 The Victory 10 delivers an array of features in one great package. 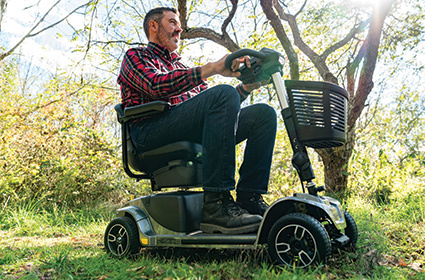 With a user-friendly tiller, this adult mobility scooter can be driven with a single hand, thanks to an ergonomic design with wraparound handles. 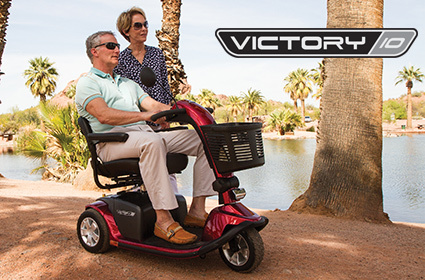 The Victory 10 is a great mobility scooter for seniors with the easy-to-read battery gauge. When it comes to comfort, the Victory 10 features an adjustable seat with viscoelastic foam inserts. 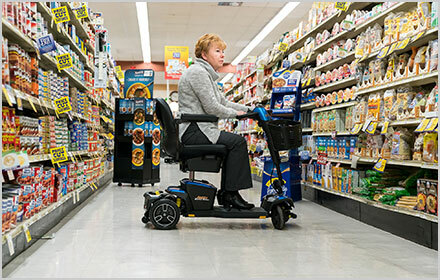 This motorized scooter is officially PDAC code verified for Medicare reimbursement, making it the perfect option when seeking a medical scooter. If you are searching for a mobility scooter that exudes style, comfort and performance, the Victory 10 is the one for you. When you desire a scooter that truly outperforms all other mobility scooter brands on the market, the Raptor is the one for you. The Raptor doesn’t just drive. It soars! 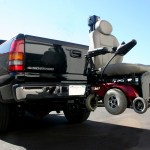 With top speeds up to 14 mph, the Raptor drives longer and farther than most motorized scooters and handles rugged terrain with a premium suspension system. 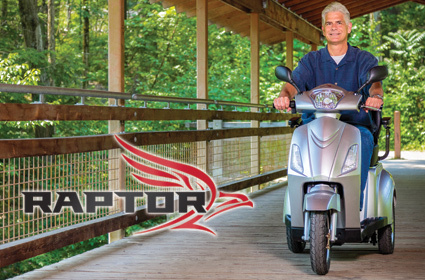 Sleek and stylish with enhanced stability, the Raptor is not a medical scooter, as it is designed for navigating the outdoors. 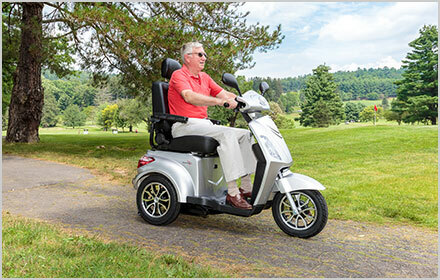 Drive this electric scooter through the park or around your retirement community. A regenerative brake system offers maximum safety. A full LED lighting package with turn signals lets you cruise around at night with peace of mind. No matter where you drive your motorized scooter, your valuables will always be secure with the rear lockable under seat storage compartment. 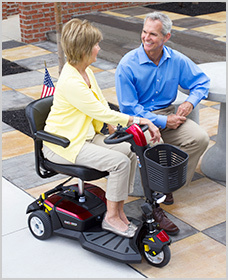 With a user-friendly tiller, the Raptor is the perfect mobility scooter for seniors. The LCD console is easy to read and shows your estimated speed, miles driven, and battery life. Why choose other mobility scooter brands? Every day is a new adventure with the Raptor! 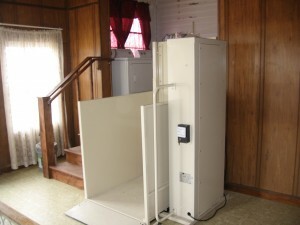 When you have a busy life, portability matters to you. 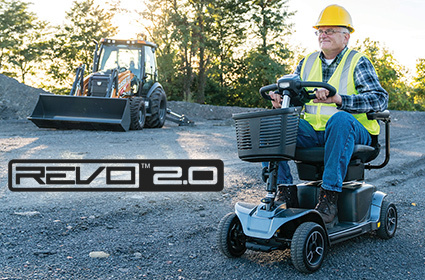 When you need a mobility scooter that offers quick and easy disassembly, The Revo 2.0 delivers. No matter where your day takes you, this motorized scooter is ready to go with one-hand feather-touch disassembly. Transporting your electric scooter has never been easier, as the Revo 2.0 disassembles into smaller pieces to fit into your vehicle. The Revo 2.0 is not a medical scooter. It’s so much more. 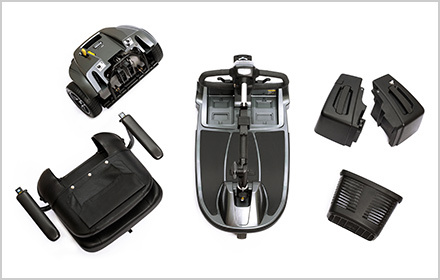 This motorized scooter features under-seat storage to keep your personal items close at hand. Easily charge the batteries on or off the unit, and the built-in USB charging port in the tiller is perfect for charging your cell phone while on the go. HEIGHT AND NEEDS. WE SINCERELY CARE ABOUT YOU!